← View #Denver in One Minute! Thank you for showing this beautiful Pinery home this weekend. If your buyer wishes to submit an offer, the Sellers will be reviewing all offers tonight. We will respond on Monday. Thank you and Good Luck! Hello everyone, several offers have already been received on this great home. The seller will now be reviewing all offers by 4:00 PM Saturday February 7th, 2015. Please allow until Sunday February 8th at Noon for a response. A response will be given by Sunday February 8th. Thank you very much. Sellers have multiple offers with more coming today from yesterdays showings. They have dogs, babies and pregnant. They were out of the house from 10 until 8 pm yesterday. With excellent offers in front of them they directed me to have no more showings. I am sorry that you didn’t get a chance to see it. If anything changes I will certainly let you know. This is what happened with our inventory over the last 7 days. 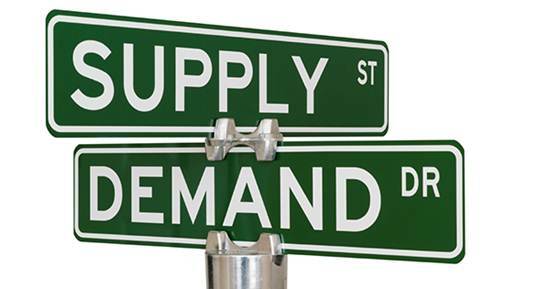 As you can see below, our demand continues to exceed available supply week in and week out.